Hello, Pavel, thanks for Your interest in MiHR and for supporting its development. If You are interested in MiHR usage if it works, please let me know at support@mimhr.com, do You use MiBand 1s or MiBand 2, iPhone or Android and what is happening when You try to open MiHR. Of course, we can refund Your money back at any time. Just let me know transaction id and we can do it. MiHR is a nice application costing very low for runners considering for cheaper alternatives than regular runner gadgets. Anyway, I found a problem when installing this application in iPad, with iOS version 9.3.4(13G35). It seems to not working as usual as in iPhone. When the app starts, it keeps looking for Mi Band for very long time without stopping. thank You for good words and for the info. did I understand You correctly: MiHR does not measure Your heart rate on iPad at all? Could you tell, how is measurement frequency working. Is it function just for Pro version or not ? For example, set 5min interval, what shall I do further ? If i tap start at „heart rate” – its measure every second. thanks for the question. This function works on free version as well. I suppose that You have Android. If yes, you just should choose the interval (e.g. 5 min.) in settings and press ok. The measurement should start. Please let me know whether it worked. I mainly use runkeeper but I may use other apps as well. thanks for the good words and for the feedback! graphs are now in beta version of MiHR and soon will be available in regular version for iPhone. Measurement frequency is one of our priorities for iPhone. Hope we will make it possible in a month or two. – I mostly use the continuous heart measurement for running or cycling. – Smart alarm for Android would be cool and helpful if it works without permanent bluetooth connection. – If i look at the history of a continuous measurement, I would like to see the selected measurement in the graph. I would like to connect my Mi band 2 with an iPad. Mi Fit is already installed and connected. At opening the Mi HR App it is looking for (infinte?) time for a connected Mi band, but not finding one. Tapping on the band does not help. If I tap on „connect new Mi band” the App closes in a blink of an eye? How can I connect the band with the App Mi HR? thanks for Your interest in MiHR app. Please let me know at support@mimhr.com which iOS system You have. using ios 10 final beta. mimhr is working almost fine. there is no posibility to setup age in heart rate zones. app just clouse itself. is there any plan to monitor hr not constantly but instead in time intervals? eg every 5 minutes. I love the Apple Health Data integration. Very useful. thanks! we will try to fix it. Mam propozycję dodania analizy snu podczas dnia. Sama aplikacja MiFit nie ma opcji przełączenia właśnie taki tryb. Pracuję tylko w nocy i co za tym idzie MiFit nie analizuje mojego snu podczas dnia. Jak miałoby to działać? Może na zasadzie ręcznego ustawienia w aplikacji przedziału czasowego w którym analiza ta będzie dokonywana przez MiBand2? Oczywiście przyda się również synchronizacja z aplikacją Zdrowie. czy poprawnie zrozumiałam: dobrze by było dostawać dane o śnie w apce Zdrowie? My smart alarn did’t works :(( Why? I hawe iOs 10.0.2. and Mi Band 2. What’s a problem? It hopefully will work in the future. I will let You know. I will let You know when MiHR works with RunnerUp. I have just downloaded your app (Android 5.1.1 on Samsung Galaxy A3 2016) with a MiBand 2. The app initially connected to the band and did the first 2 HR readings (at 5 min intervals) but the connection to the band drops all the time, and send vibration does not seem to work at all. What does „free version works for 10 minutes” mean? I want to make sure the app works correctly before paying for the premium. Thanks for your help- I think it’s a great app idea and I really want it to work! thanks for good words and for Your interest in MiHR. at the moment MiHR on Android and MiBand 2 needs MiFit app to work all the time of MiHR work. so I would suggest You to run MiFit, connect Your MiBand 2 in it and then without switching of MiFit to run MiHR. please let me know whether it helped. 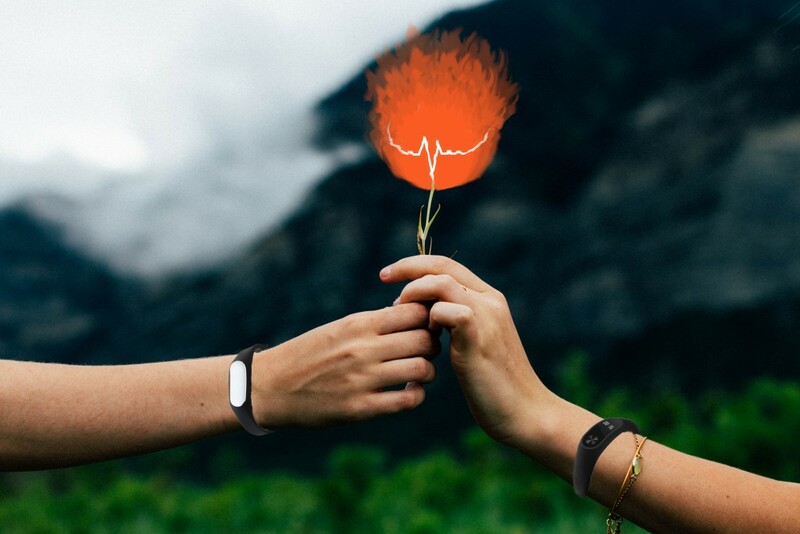 according to 10-min free version – it means that You are able to measure Your heart rate continuously during 10 min and then You should press teh start button once more. Hi, I tried to use your App on iOs10 and Mi Band 2 but it keeps showing „0bmp” until I switch on heart measure on the band. Then it doesn’t show any other value. thank You for the interest in MiHR and for the question. At the moment MiHR needs MiFit app to work well on MiBand 2. Please let me know, whether it helped. Besides that this app is great and adds lots of value to my band, thank you!! thank You for Your ideas and for good words. Yes, hopefully we will manage to make MiBand 2 ready high hr data well and support smart alarm. Ignoring very low hr is on the feature list. If You have any new ideas, please let me know. I will work with other chinese wristbands? Like ID107 for example? At the moment Mi Heart Rate app works only with Mi Band 1s and Mi Band 2. Тот факт что можно пользоваться данным браслет mi band 1s и измерять непрерывно пульс – радует! Единственное, что мне на данный момент не хватает, это параллельного с пульсометром секундомера и таймера, для отслеживания время тренировки над каждым упражнением и как следствие, сохранением статистики работы в режиме тренировки. Если появится возможность добавьте, буду рад. Вы хотели бы, что б приложение одновременно с пульсом меряло время тренировок и потом можно было это смотреть? Хотела бы уточнить: ведь когда Вы видите Ваш пульс на графике, Вы видете также время, когда он был измерен. Этого мало? Вы бы хотели чтоб были добавлены секунды? Или хотели бы видеть не время замера, а на какой минуте и секунде тренировки какой был пульс? Как бы Вы хотели, чтоб работал таймер? I’m really looking forward to the feature for iPhone that measures my heart rate at set frequency. thanks for the feedback and for expressing Your willingness. It is at the feature list. I will let You know once we manage to implement that. If You have any future issues or ideas regarding Mi Heart Rate, do not hesitate to let me know! Can I ask, when will be measures frequency (e.g., every 5 min.) available on iOS? thanks for the question. Measurement frequency is at the feature list. It is hard to predict when we can implement it. yes, of course, I will let You know once we do that. If You have any future issues or ideas regarding Mi Heart Rate, let me know. I upgrade Mi HR to premium version (with 0,99Eur) and now when i start the app crash. Who can i solve that? thank You for the interest in Mi Heart Rate and for supporting its development. iOS or Android, which system? please try to clear cache data, reinstall Mi Heart Rate and reboot Your phone. Hi, I just purchased the app Premium version on iPhone 7. It connects to my Mi Band 2 and continues measuring HR. But now my Mi Fit app cannot connect to it. How do I disconnect from Mi HR? Can I connect both of them at the same time? Also I tried to upgrade the firmware, and both versions 1.0.1.28/34 stuck at 99%. What does that mean? Hi, Wayne! Thank You for the interest in Mi HR and for supporting its development. Which Mi Band 2 firmware do You have now (You can check it in Mi Fit app)? Did You also try firmware versions 1.0.1.39? Did it also stuck? Mi HR is absolutely independant from Mi Fit app and it should not interfere with its work. Please try them once more and let me know about the result. Hi, Edman! Many thanks for the positive feedback. We’re glad You are satisfied with the app! More info on Mi Heart Rate You can find here, at our blog. If You have any issues or ideas regarding Mi Heart Rate development, do not hesitate to drop me a line at support@mimhr.com (in Russian as well Thanks! Hi I just came across your app a couple of days ago. I am using Mi Band 2 and I’m having problem with HR. It kind works on my wife’s arm but not on mine. I have read on redit that a firmware downgrade fixes the problem. The current firmware is 1.0.1.50. Do think this would work, if I do the inapp purchase for the premium service to get the firmware from you? thanks for the question. Yes, in iOS version of Mi HR there is a possibility to downgrade Mi Band 2 firmware. Could You provide me with more info: how the problem with hr measuring looks like and why (as You think) it occurs. You may write here or at support@mimhr.com. Następny Następny wpis: Mi Heart Rate – be fit. O приложении.